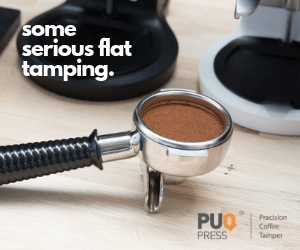 There is no doubt that AeroPress, the famed filter coffee maker, is one of the most popular brewing methods out there. It is incredibly versatile, easy to use, it is convenient to travel with, one of the easiest methods to clean, pretty unbreakable, too! No surprise it has even created a whole cult of following around itself. 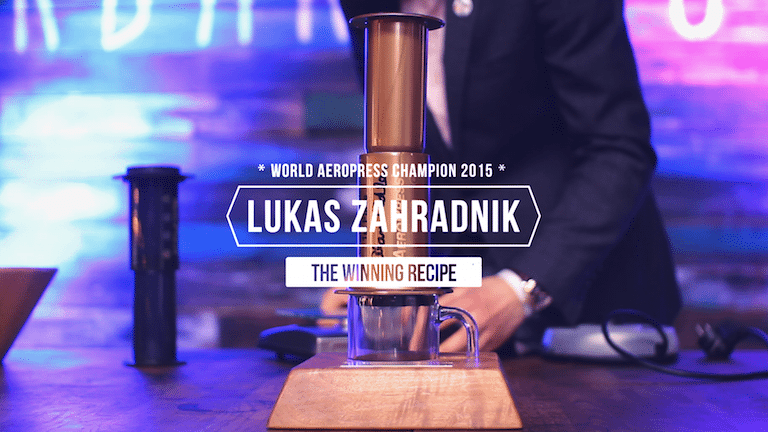 Enthusiastic AeroPressers are competing for the best brew all over the world since 2008! In fall 2017, we embarked on a journey to document the evolution and the ever-growing culture of the AeroPress. 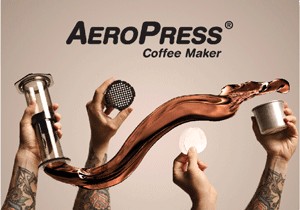 We launched and successfully completed a Kickstarter campaign to support the creation of our AeroPress Movie documentary, and since the beginning of the movie preparations, we have learnt numerous interesting facts about the brewer. 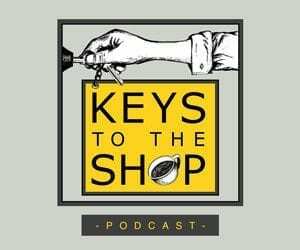 What we had not tried out though, until September 2017, was the original recipe for how to brew with an AeroPress. 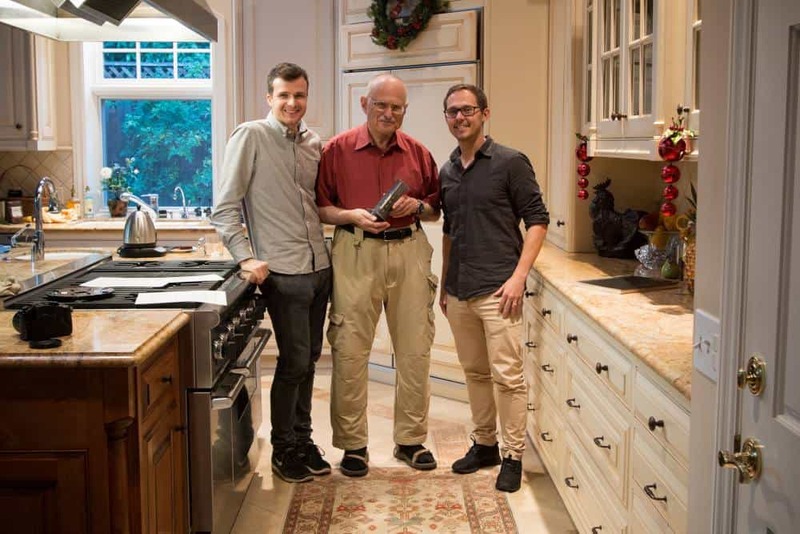 The inventor, Alan Adler, experimented with his invention tirelessly, until he found the recipe that would allow him to prepare the perfect cup of coffee. 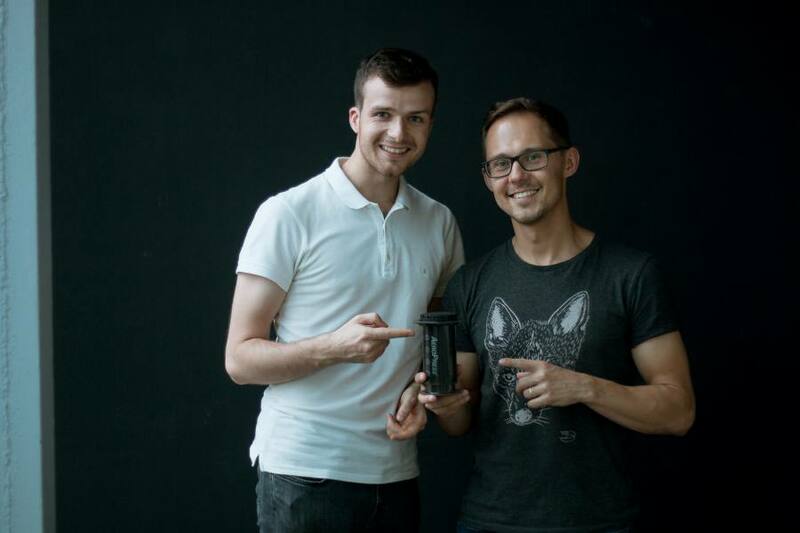 And he shared his recipe with the finished product in the original packaging of the AeroPress. Since every brewer comes in its distinctive hexagon paper box, the recipe sitting inside, it comes as a surprise we had never tried it. With so many coffee professionals out there, we just kept on experimenting with their recipes, but never really discovered the one sitting right under our noses. In a full commitment to know the AeroPress in an out, we filmed our experiments on a video. The first difference of Alan Adler’s recipe to the ones we knew and used before was its simplicity. This is a recipe that anyone can follow. 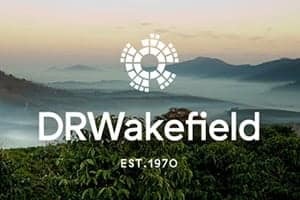 Simple in its basics, without specifying the exact amounts of coffee and water as the most of us are used to it these days, we measured each step using scales to give you a precise idea of the guidelines. Start off with preparing your vessel, your coffee, and brewing the water. Alan Adler recommendations that we found quite different from other recipes were the coffee grind size and the temperature of the water. The coffee should be of espresso-like grind size. Water should sit at 80℃–85℃ temperature. 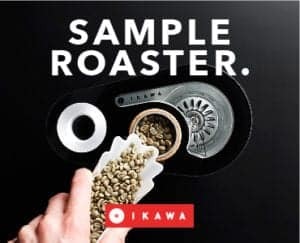 80℃ for medium to dark roast, 85℃ for lighter roasts. Alan Adler recommends the traditional position of the brewer and the total brewing time of one minute. Place the filter in the filter basket. No need to rinse the paper, but we did. Screw the basket onto the AeroPress. 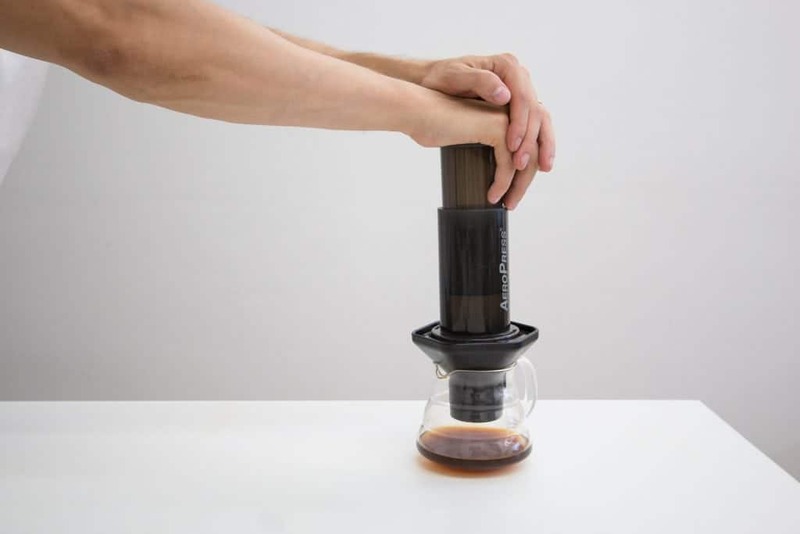 Sit the AeroPress on top of a decanter or a mug. Put one scoop of coffee in. That equals about 15 grams of coffee. Add water up to the #1 mark. It should be about 85–90 grams. Stir the coffee well for about ten seconds, making sure all grounds are wet. Connect the plunger at the top of the vessel. Press the plunger down for about 20–60 seconds, depending on the pressure. It is recommended to simply put your hands on top of the plunger and let them push the plunger with their natural weight. The result of this recipe is a coffee concentrate. Add hot water based on your taste preference. 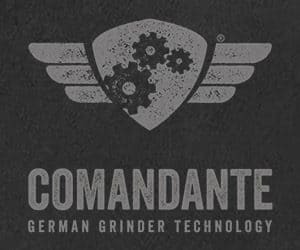 To clean the brewer, remove the cap, throw away the coffee grounds, and wash your brewer. We hope you will include this easy recipe in your morning experiments. It really is easy and makes a nice cup of coffee. 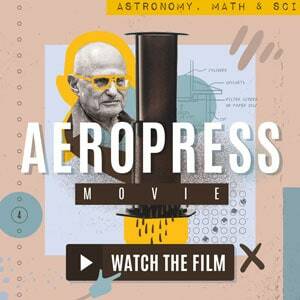 And while you are enjoying the AeroPress brew, don’t forget to keep up with our AeroPress Movie plans.